Disclaimer: This shop has been compensated by Collective Bias, Inc. and its advertiser. All opinions are mine alone. 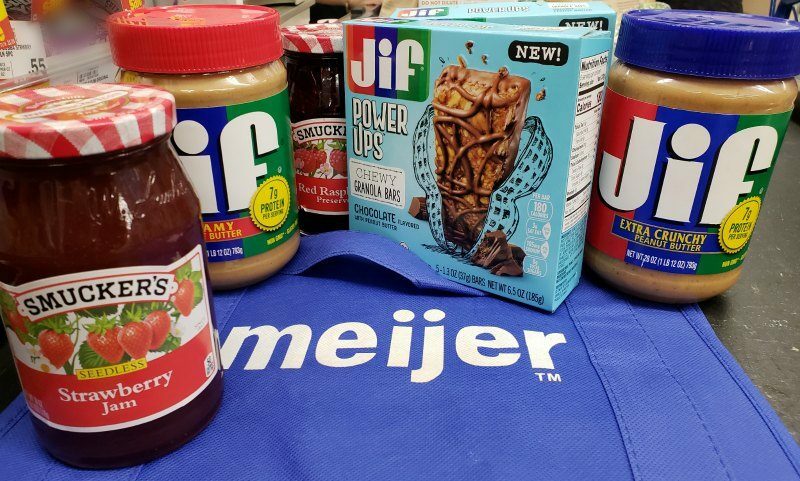 #CraftPBJCreations #Meijer #CollectiveBias. This post is sponsored by The J.M. 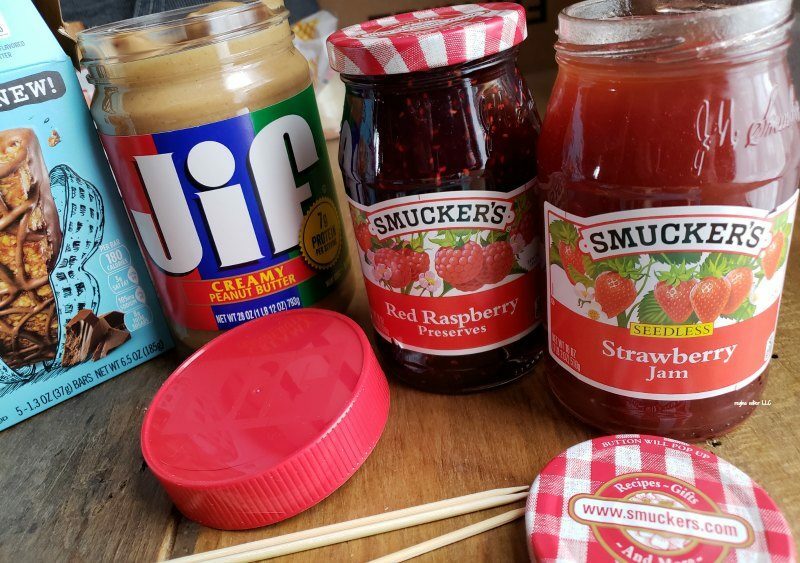 Smucker Company. When it comes to packing lunches, my kids do it most school days as they don’t like what is being served at school. Lunch can get boring. So I try to spice it up in special ways and make the ordinary, extraordinary. 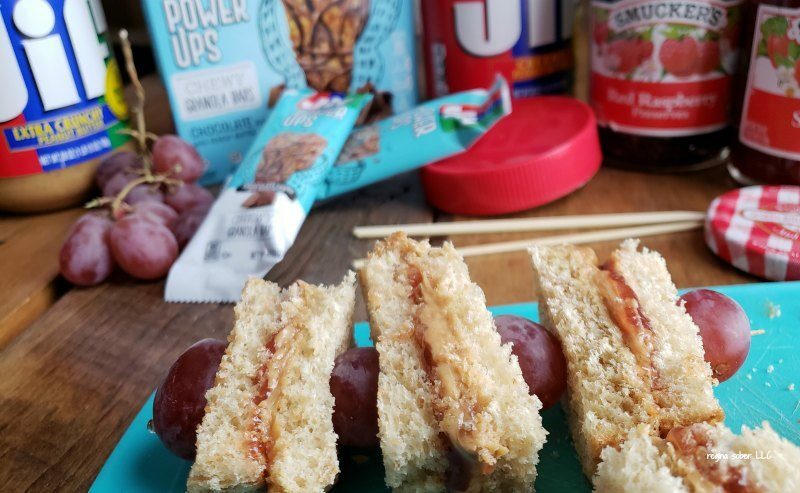 With just a few easy steps, you can make a little peanut butter & jelly kabob sandwich your kiddos will love in their lunch too thanks to Jif® Peanut Butter and Smucker’s® Fruit Spreads. 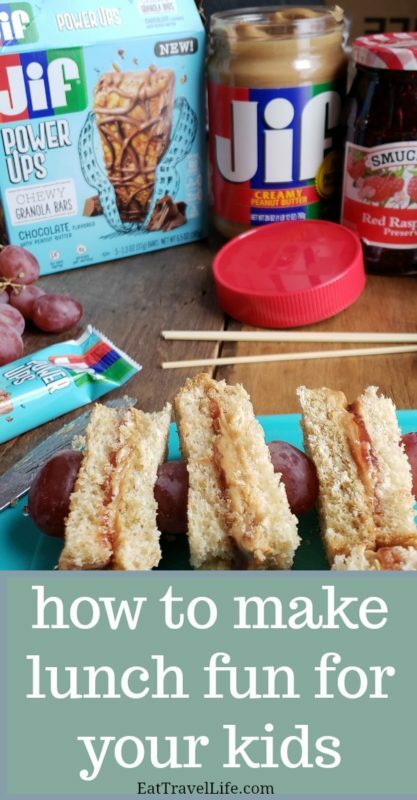 You will want to prepare your peanut butter and jelly sandwich, by spreading a couple tablespoons of peanut butter. Spread the peanut butter so that it cover the slice of bread and that every bite has some of that creamy fresh roasted peanut butter on it. Take another slice of bread and give it 2-3 tablespoons of jelly and spread it evenly over the slice of bread. You want to be able to taste that delicious jelly. 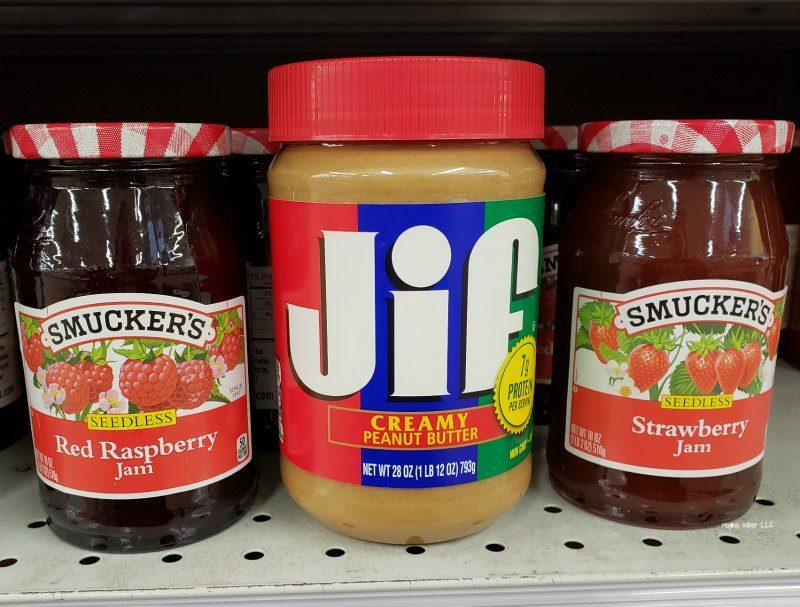 Combine the two pieces together, jelly and peanut butter sides together. You know have the perfectly paired sandwich. Let’s make it fun for the kids! Cut the sandwich in half and then cut each have into 3 pieces. You should have 6 pieces of about equal size. Take your skewer and place a grape on it. 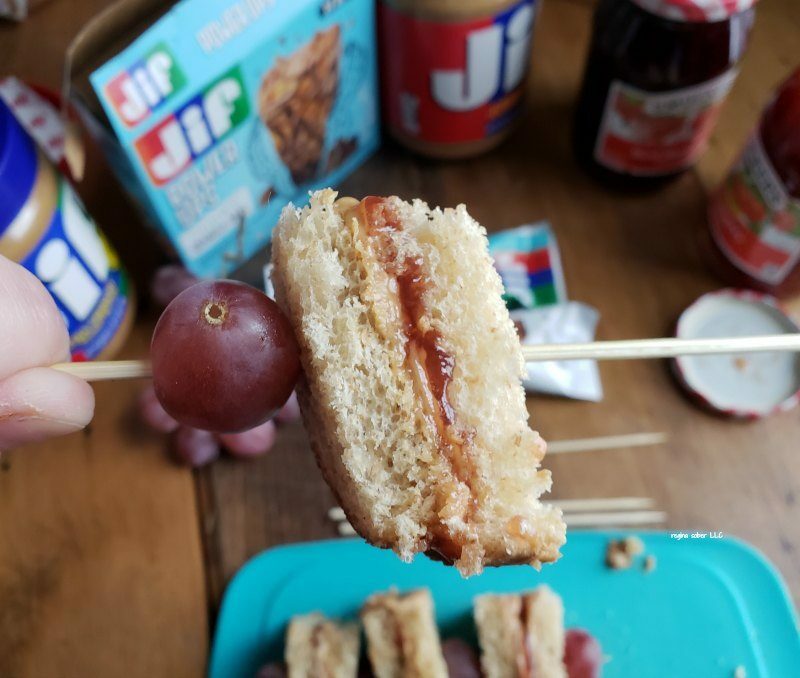 Put a piece of the PB&J sandwich on it and repeat again until you have 3 sections of sandwich on the skewer and 4 grapes. Add more grapes if you have space. The grapes are going to keep the sandwich from coming off the skewer. Repeat this with the rest of the sandwich on the other skewer. 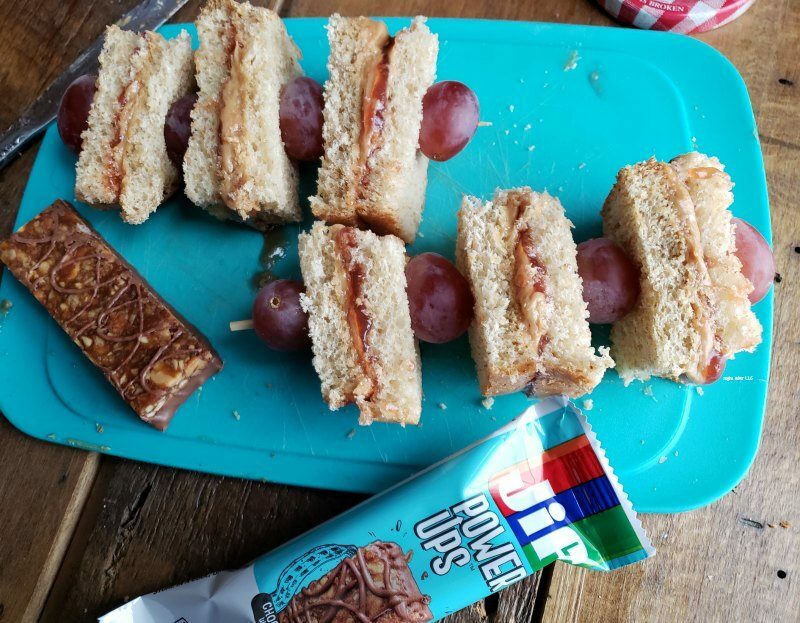 Send the kids to school with their sandwiches and include the new a Jif Power Ups® Chewy Granola Bars. 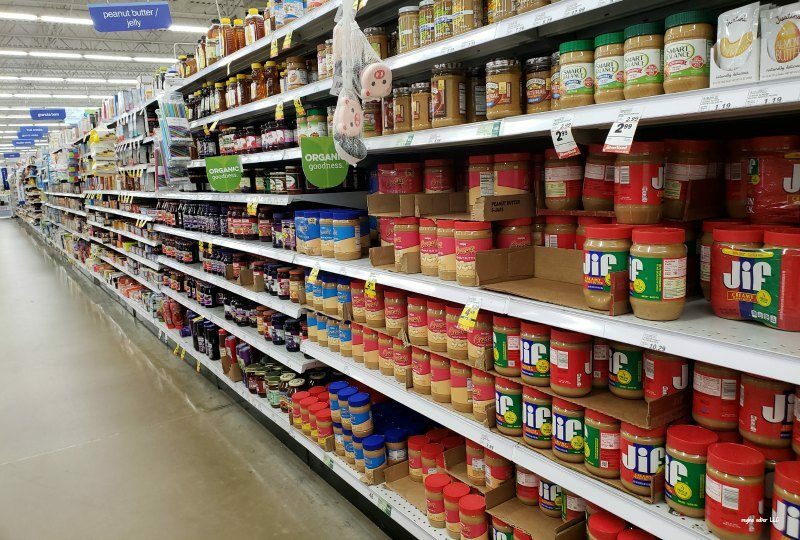 They’re made with the same Jif® peanut butter you know and love! I snuck one (maybe 2) while making this recipe. So peanut buttery delicious and I love that they don’t contain corn syrup. 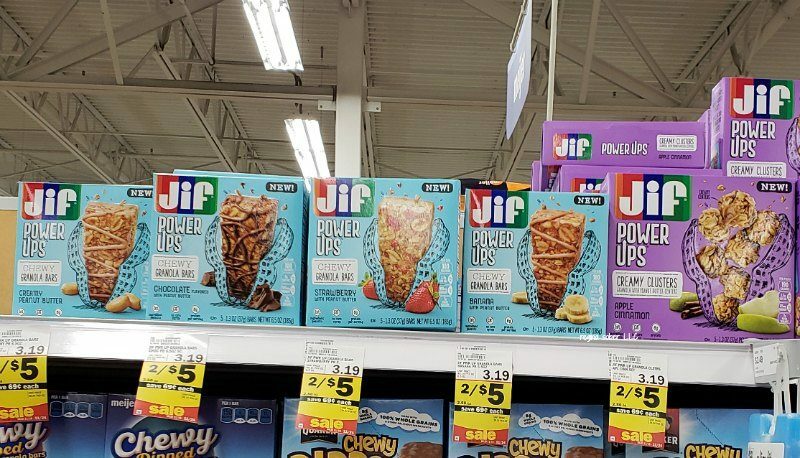 We found the Jif Power Ups® Chewy Granola Bars on the top shelf of our local Meijer just down the aisle from the peanut butter and jelly. My kids come home and are hungry. Having these on hand, make them a perfect after school snack until dinner is ready. 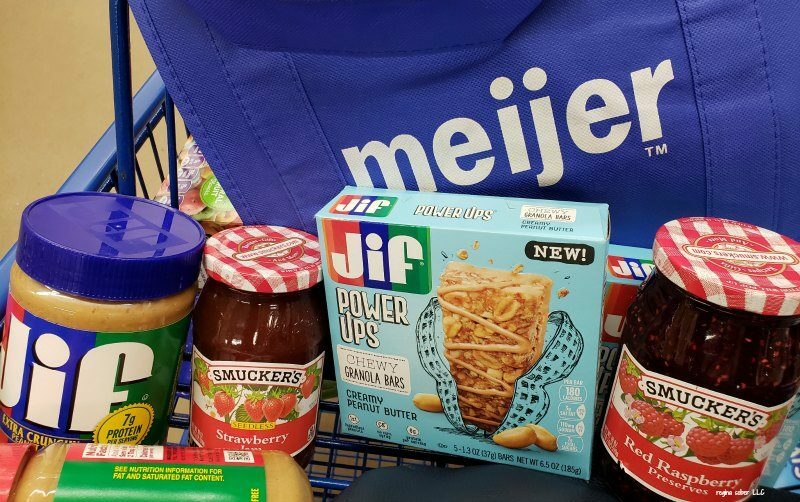 And now through 2/2/19, you can save over $2 on Jif® Peanut Butter, Smucker’s® Fruit Spreads, and Jif Power Ups® Snacks with mPerks digital coupons! 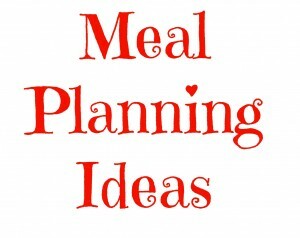 And don’t forget to check out the social hub for more PB&J inspiration!